I found this in an old box in the garage, full of lacy bits and memories. I showed it to my husband. “Do you know what this is? 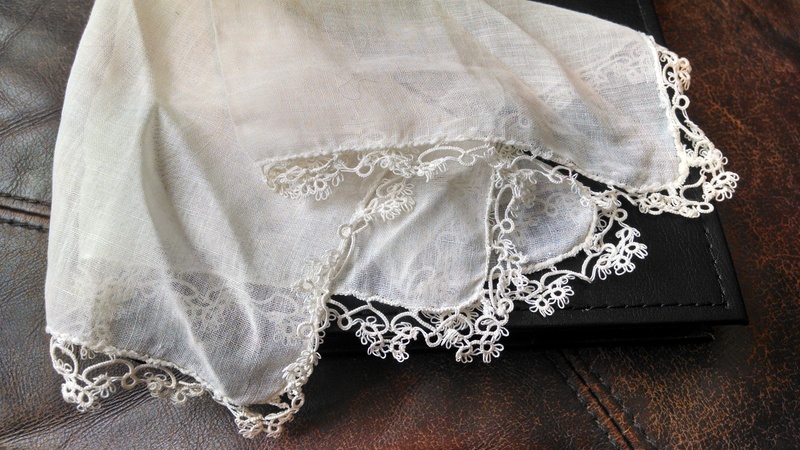 It’s the handkerchief I made for the Mount Timpanogos Temple dedication.” So many memories attached to this lace. The Timpanogos Temple was the first temple we’d ever had the opportunity to see built and dedicated. At the time, we were newly married, and students at BYU– barely scraping by on 500.00 a month part-time income. We lived next door to Mirla Thayne, who wrote the children’s hymn, “I Wonder When He Comes Again”. It was about a year before she died. I also worked, but from home, caring for our upstairs neighbor with Alzheimer’s. Clyde. I’ll never forget Clyde, he was a character, and as innocent as the four year olds in my Sunbeam class. Oh the adventures we had with him– once we found all his clothes neatly hanging from the front door. He’d mistaken it for the bathroom door, and by the time he got out of the house, forgot he was going to take a shower, and figured it was time for a walk. Off he went, and after him I ran. That job carried our rent, and Troy’s income paid for everything else. My mind can hardly wrap around those meager figures looking back, but Troy, who keeps everything, still has the pay stubs to prove it. There’s a part near the end of every temple dedication that requires a clean, white, handkerchief. I didn’t have one. I looked at the budget. No help there. I wanted to make something special for the temple dedication rather than just order something I didn’t have money for anyway, so I bought thread, a hook, and a book of lace edging patterns with my meager budget instead. I began working the simplest pattern possible. I was nervous, but too new at this sort of thing to be daunted. 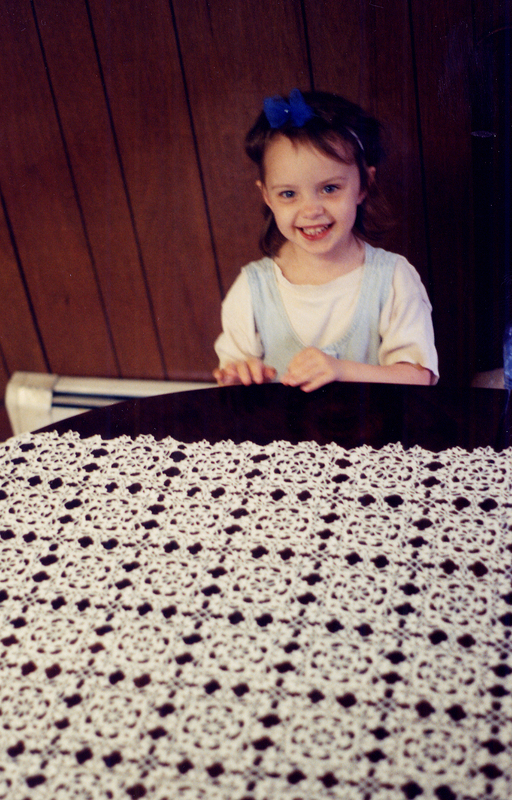 Though I had seen others do it, this was my very first experience making lace. After a few false starts, I began to get the hang of the smaller thread, and the lace started looking like something. When I finished, I was so proud of my work, I had no idea how rough and primitive it was. I only saw beauty, and it was beautiful. Later, my mother-in-law sent me a few other temple handkerchiefs, finer in detail, and smaller in thread. The difference, rather than discouraging me, inspired me, and my interest in laces grew. That was October 1996. Less than four years later, we’d graduated from BYU and moved to the east coast with Troy’s first job at BBN Technologies in Boston. We watched and participated with interest as the Boston Temple took shape. We lived in Waltham, Marlborough, and then Billerica, where I started and finished my first altar cloth. 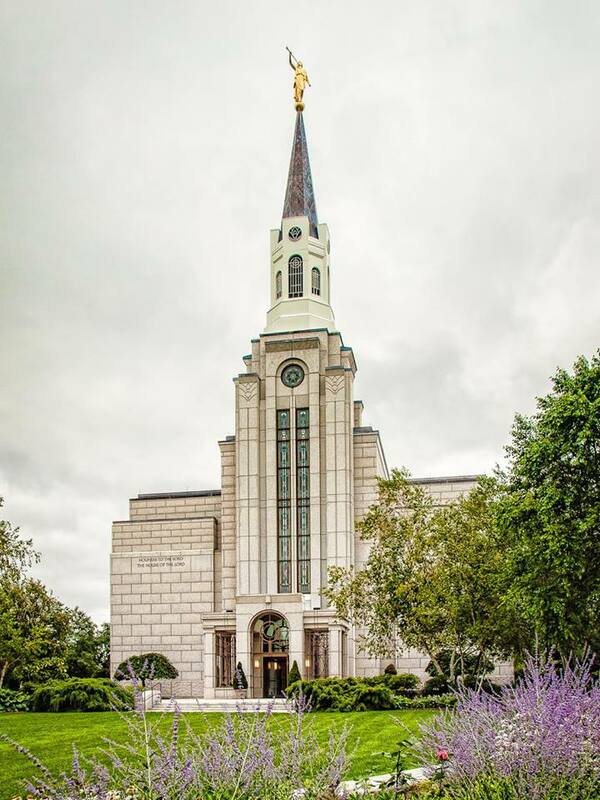 In October 2000, I attended my second temple dedication–this time for the Boston Temple. There’s something of yourself that gets put in things that you work hard for. 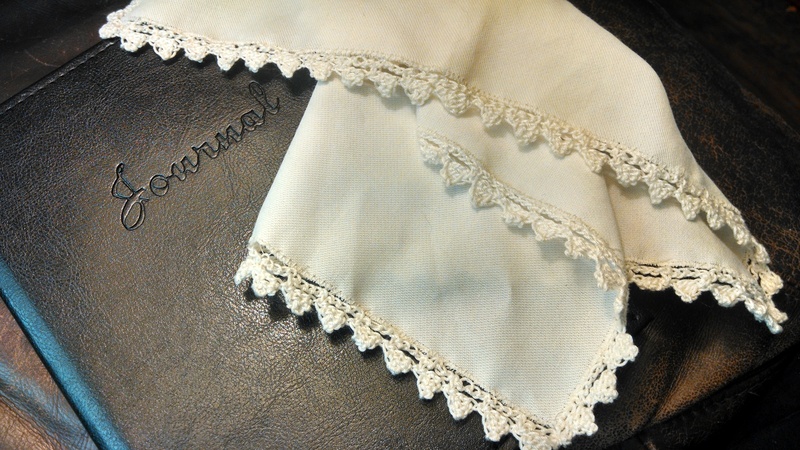 I don’t know which of my several lace handkerchiefs I used for that dedication, but I’ll never forget my first. I still can’t make a size 80 tatted handkerchief edging, but there’s always room to grow. Of all the laces, bonnets, blankets, and edgings I’ve made over my life, I’m tickled to realize that even my very first, was for the love of the temple. Side by side– my first size 10 thread crochet edged thick cotton handkerchief on the left. 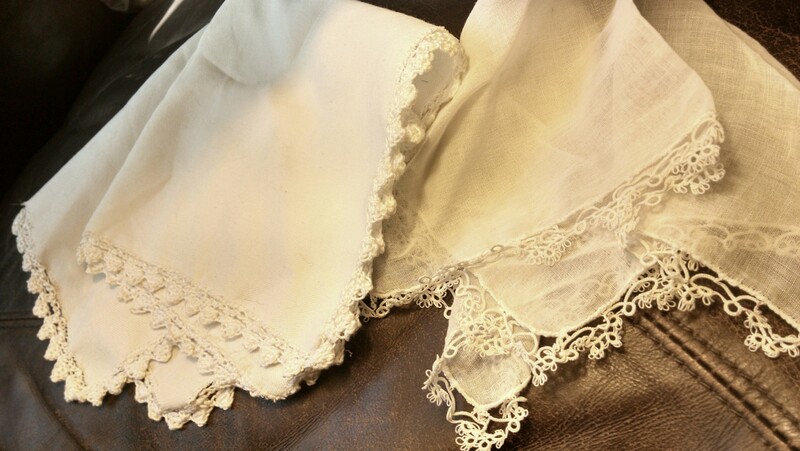 On the right is a size 80 thread tatted lace edged delicate linen handkerchief. Both beautiful. In August of 2000, my family and I lived in a little apartment in Boston, Massachusetts. My husband was working for BBN (later Genuity), and we were two years into our east coast adventure. My daughter, Anna was three at the time. 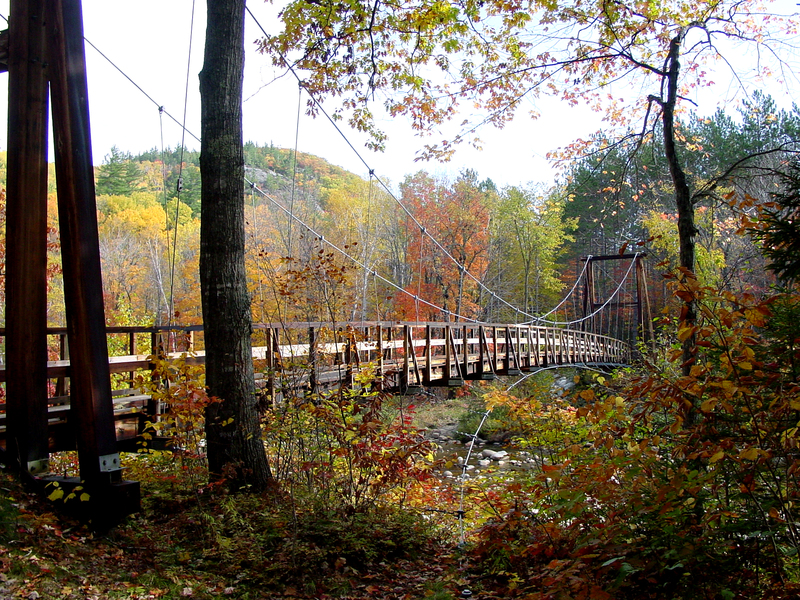 We were thrilled to be living in New England, it was so green, lush, and in every way, different than Utah, or even California where I was raised. While we were there, we had the privilege of watching the building of the 100th temple of the Church of Jesus Christ of Latter-day Saints, as it was built. As part of the preparation for the dedication, I helped organize making little booties for the legs of each of the chairs for the dedication to keep the metal legs from damaging the new carpets of the temple. Because I was making little white chair booties, my name came up as a sister with crochet skills. I was contacted by someone affiliated with the temple construction and dedication project, and asked if I would be willing to make a temple altar cloth for one of the sealing room altars. I was floored. I had no idea such a thing could even be done by mere mortals like me. I was flattered. They’d had a few sisters already volunteer, but they needed one more altar lace, and the catch was, they needed it fast. I’d never made anything as ambitious as an altar cloth before. I’d made a few doilies, and some lace edging, that was about it. I’d made lots of scarves, hats, and potholders though, and I had a bit of a plucky attitude. There wasn’t anything I didn’t think I could do, so I started. “One month? Ok! I’ll try.” I had no idea what I was getting into. At the time, I had one daughter, she was three, almost four, and we were just starting our adoption adventures, taking training and classes through LDS Family Services in Boston. I had a lot of free time on my hands, and Anna was a good lace buddy. She and I started our altar cloth, and together we watched each square as it grew. This pattern is from 101 Motifs for Crochet by Rita Weiss. The pattern is motif #101, the last in the book. I didn’t end up finishing in a month, but luckily, the dedication date was put off a bit with the steeple controversy. I was able to finish in time for the dedication, but just barely. I ended up working on the Boston lace six hours a day, sometimes more. I was new to lace-making still, so I made a lot of mistakes, and learned how to change, alter, and fix laces. At one point, I was gazing admiringly at my growing lace, nearly thirty squares large, and realized that one square, was horribly, terribly wrong. I don’t know what I’d been thinking but I skipped an entire row somewhere in the middle of the square. 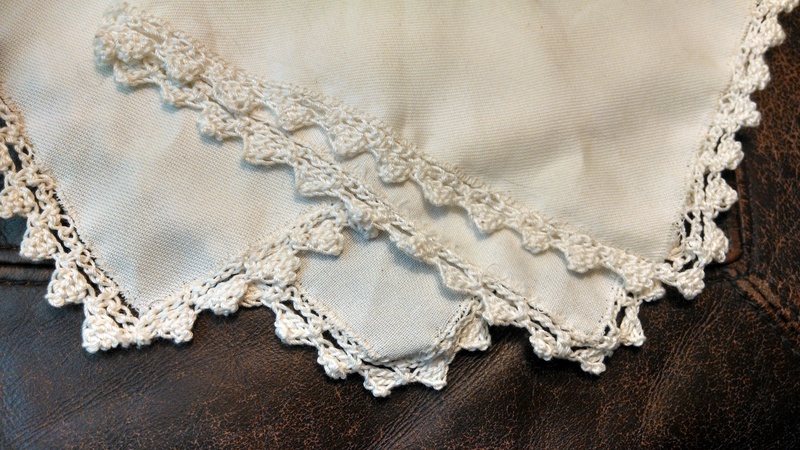 I had to learn to remove a square, carefully, without damaging the rest of the lace. 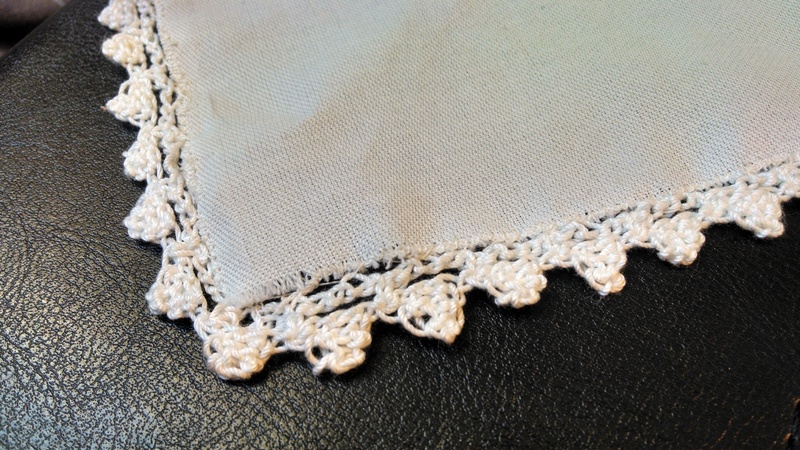 Another time I realized that four of the squares were upside down– each in a different section of the lace. Horror! I know, but to an experienced lacemaker, it really is. We can tell these things. I wanted my lace to be my best. So I took those out too, flipped them over, and put them back. Thankfully, I’d chosen a pretty straightforward pattern. It was such an honor to be able to make something for the Lord. I can honestly say that accepting this assignment inspired my love of temple laces, and truly changed my life in some important ways. I’ve never forgotten that experience, and the joy it brought me to bring something of my own, made with my own hands, loved with my own heart, to the house of the Lord. My husband and I helped with the open house of the temple, walking the governor, senators, children, families, and dignitaries on beautiful silent tours through the house of the Lord. Anyone who wanted to, could come and see the House of the Lord. But, they couldn’t see the laces, and neither could I. The laces were not displayed during the open house. Laces are not placed on the altars until after a temple is dedicated. We moved to California the week of the temple dedication, so I have never had the pleasure of seeing my lace on the altar in the Boston Temple, but I know it is there, and that is joy enough to me. An interesting note: at the time the Boston Temple was dedicated, it had no steeple. There was a controversy with the neighbors, and a lawsuit blocked the completion of the steeple. So, in some respects, my memory of the 100th temple of the Lord is consistent. The steeple was built a while later, and we watched that from California too. We didn’t know it then, but that steeple controversy ended up being one of the best things that happened to the church in the Boston area during the construction of the temple. It brought together people of all faiths, in support of a good cause. We made many friends across the spectrum of beliefs. It was the Lord’s miracle, with a twist of humor. As for us, though we never got the joy of seeing our lace on the altar, we had many other blessings come to us right at that crucial time. My husband was able to get a great job, right before the company he worked for went under. We felt strongly that we should go to California, and right as the lace was finished, we got an offer, and began moving. The dot com bubble burst weeks after we arrived in California and all jobs in his field dried up for several years, yet we were spared that instability. Best of all, though we didn’t know it at the time, our three little sons were looking for a family, waiting for us in California. I am convinced our gift was seen, and recognized, and honored. Our prayers were answered. Some parts of our Boston Temple experience are just had in faith. Experience has taught me that there is no sacrifice you can make in the Lord’s service that is greater than the blessings you receive.